So I installed secondary spring on mine, was told by a sled racer to make this spring change. (Black Purple stripe 180/270). Made a big difference with the gearing. The one on the left is stock on the right upgraded spring. Does anyone know if there is a tutorial out there for this spring change? I'm a visual learner so a video would be great. Based off some explanations, I'm still a bit leery to just start digging into this. 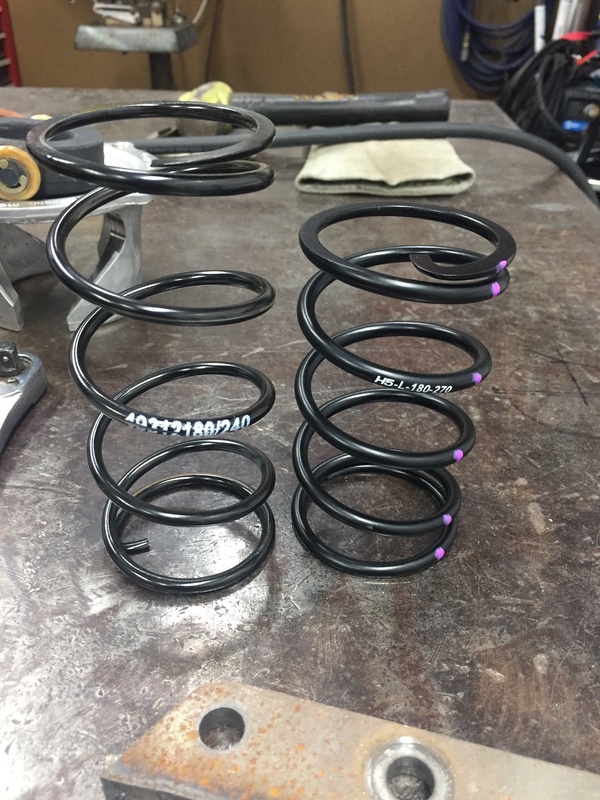 Ordered my spring this morning. I think I'm gonna need it with these 32" mud slingers. Hopefully it gets here in time for our ride 12th-14th. Orders mine today and i'm excited to do this mod. I have the Speed flash on the ECU and 32" Motohammers. MLS recommended the Green and Black secondary spring from Venom which is 200-280 but they didn't have it in stock. I ordered it from Venom and they also have a Delrin washer for the top of the spring that they recommend. I put about 200 miles on it this weekend in Dove Springs and it is a noticeable difference. Slightly better acceleration and it pulls a lot harder toward the top end as it slowly builds RPM. I never drove it with the stock ECU or stock tires but with the reflash and the 32's it definitely needed more RPM. I'm really happy with the spring. Anyone know what is recommended for a stock tire stock ECU setup?